REVIEW: Cannondale Bad Boy 4 - Lefty, Righty, Yes, No? A swift urban commuter specced with logical components. The Bad Boy 4 seems to be the perfect bike for shredding city streets if you do not have a fortune to spend. The Bad Boy is no new addition to the Cannondale lineup but although the model has been around for over 25 years. 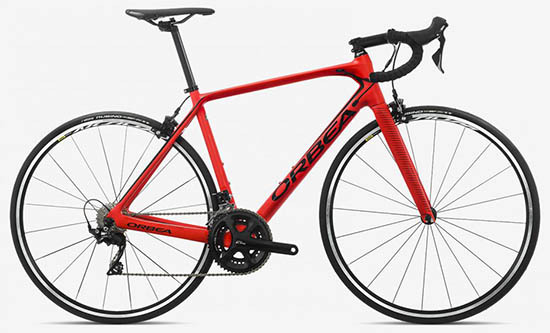 It is one of the most modern and up-to-date urban bikes available. The sleek looks of the Bad Boy 4 match its nimble handling and it does not hold back when you push and weave it through traffic on its 650b wheels. The alloy frame is light and stiff to prevent power being lost. Thanks to the heat treating process used in manufacturing, it is also strong enough to deal with repeated hammering through potholes or cobblestone streets. Cannondale are so sure of the frame’s strength and durability that it comes with a lifetime guarantee. Cannondale have used their OPI technology for the Bad Boy Frame. OPI stands for “One-Piece-Integrated” and means that the top-tube and down-tube are made from one piece of material with a headset welded on. This reduces the number of parts needed to construct the frame, as well as the amount of welding needed. Overall weight is therefore reduced. On top of this, the frame looks really good! Ever leaned your bike against something only to find you have scratched the paintwork? Cannondale have added a protective strip to the top tube to help prevent this happening. The head-turning and stylish lefty fork makes an appearance on the Bad Boy. Only having one arm reduces weight but there is no compromise on strength when it comes to this fork. 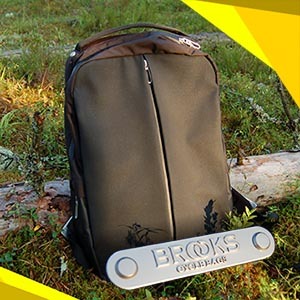 Made from sturdy alloy, it will put up with the same abuse that you throw at the frame. It does feel a bit strange the first time that you ride on a lefty fork. Looking at it, you feel like the bike is not supported on the right-hand side and will tip over. Once you start looking at the road ahead, however, you forget this. Cannondale have spent many years developing their lefty forks so you neither have to worry about stiffness nor strength. Cannondale Urban hubs are laced to double wall, 32 hole Bad Boy rims. The 650B size keeps you rolling fast and easily over bumps. 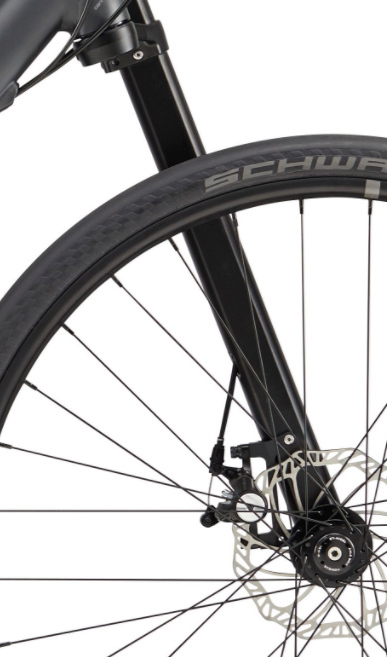 The Schwalbe Kojak tires will give you grip in both wet and dry conditions. Lean over as far as you dare in the corners! Shimano take care of the cranks and gear shifting. An Acera derailleur is at the back and the front is an Altus. These are at the lower end of Shimano’s range and you may experience issues with long-term shifting accuracy. The three chainrings at the front drive the Sunrace 8-speed cassette (11-32 teeth) with a KMC Z51 chain. KMC make good quality chains so you do not have to worry about this one. Regularly check it for wear and replace it when necessary to avoid damaging the chainrings and cassette. This range of gears is more than enough to get you up steep hills and charge down the other side, as well as keep you comfortably spinning fast on the flat. 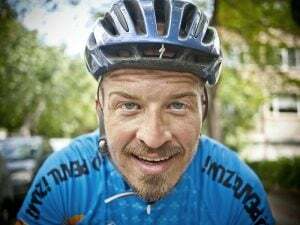 Depending on where you live, you may find that this is too much range and an upgrade to different drivetrain with a smaller range could save you some weight. At some point, you will have to stop or slow down. Cannondale have you covered with their mechanical disc brakes. As opposed to rim brakes, disc brakes are kept away from road dirt and grime, keeping them cleaner and maintaining their power. You will have powerful braking power at your fingertips to stop you in time for red lights or slow you down in heavy traffic. PS! Although strong enough to stop you safely, bear in mind that mechanical disc brakes are not among the most powerful brakes available. 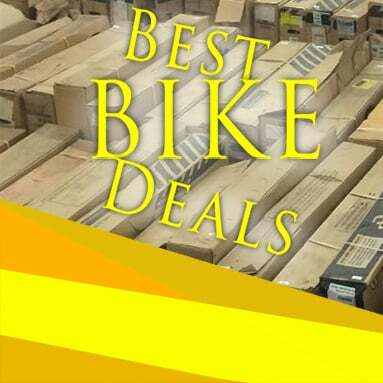 It is possible to find mechanical rim brakes that have more power and nothing beats hydraulic disc brakes. Mechanical disc brakes also tend to require more frequent adjustment to keep them perfectly in line. You may wish to learn how to adjust them yourself or be prepared for your local bike shop to check it over regularly. Cannondale provide a short stem and 620mm wide handlebar. The combination give you fast and confident steering control while lock on grips keep your hands in place. 620mm may seem wide for an urban handlebar, but you will find the width comfortable. Paired with the short stem, the steering remains snappy. Cannondale also provide a seatpost and Bad Boy Urban saddle to sit on. The Bad Boy 4 is a fantastic urban and commuting bike that will not break the bank. You could pay more for other Bad Boy models with more expensive components but if saving a bit of weight is not important to you, then the Bad Boy 4 will do the job. The components chosen are still of good quality and will keep working for a long time provided they are kept clean and lubricated. The frame and fork play an important role in the overall feel of a bike. Cannondale have designed a frame that will put you in a low riding position with weight planted on the front wheel. This position will help you ride fast and aggressively through the streets if you so choose, but may not be comfortable over long distances. 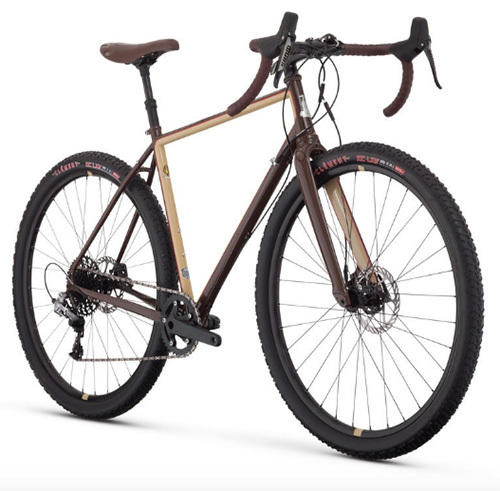 After all, this is an urban and commuting bike and not intended for long tours. 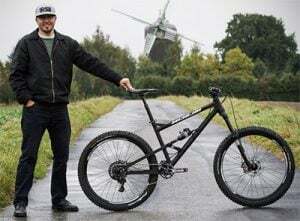 The alloy chosen for the frame is not as light as carbon but costs far less and is still more than strong enough to put up with rough city streets. The OPI technology used by Cannondale helps keep the weight down. On top of this, the frame looks really good! The strong double wall wheels have also been specced to withstand the rigors of city riding. To save costs, Cannondale have used many of their own brand components to finish the Bad Boy 4. There are certainly lighter and more desirable components available but by cheaply producing a range of their own, Cannondale avoids the costs involved in sourcing, testing and purchasing high-end versions. 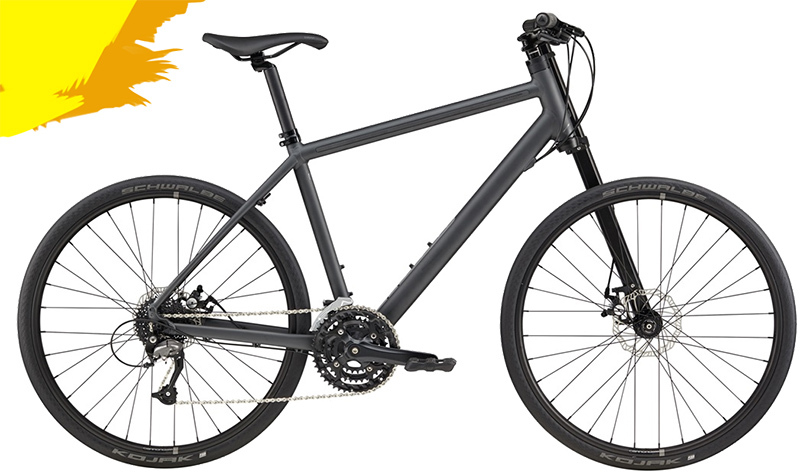 The Cannondale Bad Boy 4 is a fantastic urban bike for the price conscious commuter. The components have been carefully chosen to provide the performance you need at the price you can afford. This is more preferable than being pushed into paying extra for more expensive parts that will not give you any noticeable advantages. The mechanical disc brakes and Acera/Altus derailleurs may need more regular adjustment than more expensive components. So the Bad Boy 4 may not be the right bike for you if you shy away from the occasional bit of tuning. There may be differences in performance between the two but this is not something you will notice unless you are really pushing the boundaries of your performance. The Bad Boy 4 is not designed to be ridden by professional or serious hobby riders though. So it makes absolute sense to spec a number of Cannondale branded components. They still perform perfectly well and match the sleek design. 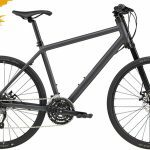 If you are looking for an affordable racy bike to shred around your city and get you to and from work at speed, then the Bad Boy 4 will serve you well!